SVG Patterns are not popularly known but they offer a lot of absolutely fascinating design options once you all get your head around them. According to the trend of design, the usability of SVG file is increasing day by day. All the same awesomeness of SVG comes along for the ride, like flexibility while retaining sharpness. Plus you can do anything a raster graphic can do, like repeat. SVG file can be used as background-image in CSS as well, just like PNG, JPG, or GIF. 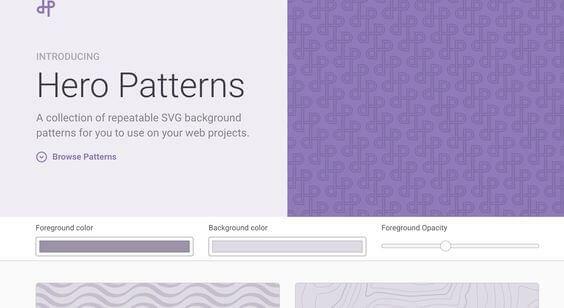 In my opinion, combining the production from these tools and what you know about SVG patterns should start up some seriously fascinating new design opportunities. Let’s see. 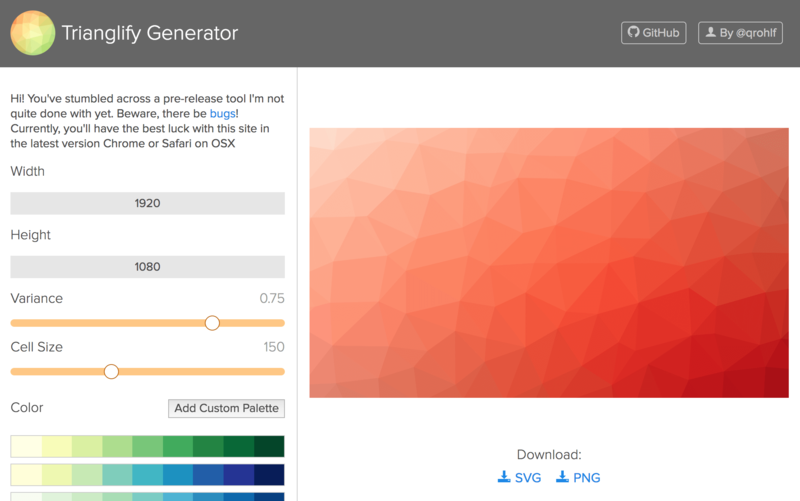 Trianglify Generator doesn’t use the SVG pattern element, but I feel it sits comfortably amongst this set of tools. This is a tool that generates one very specific type of background SVG – a colored, faceted triangular matrix – almost like a low-polygon surface. You can control the color, size, and randomness of the underlying grid. 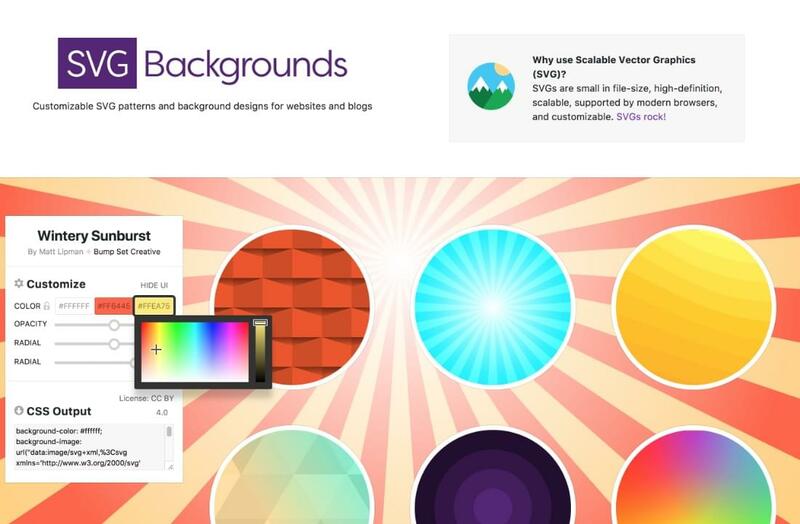 Though these backgrounds certainly have limited use cases, they offer a vibrant, semi-organic design element that can scale crisply to cover huge areas while remaining a tiny file size. It’s easy to use. Click on icons from the library to add them to your workspace. Click on an icon to select it and adjust the circular control to scale, position and rotate each icon. When you’re done you can down your pattern as SVG, or, if you prefer, PNG, JPG, and even Base64 encoded. Be aware that the Flaticon icons used here are quite rich and detailed (read: large files), so loading lots of them into your pattern design can still really blow your file size out. 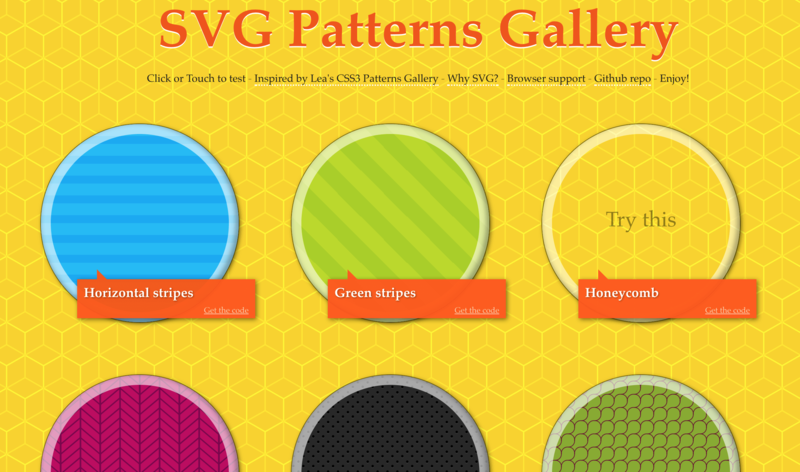 Philip Rogers has been maintaining a pretty cool collection of downloadable SVG patterns. It’s not a huge collection – 21 patterns – but Phil has made it easy to test and grab the code. In a lot of early 20th century maps and charts, you’ll see they often make up for a lack of color by using monotone pattern fills with dots, lines, and cross-hashes. Although this was a design limitation of the time, today it still presents a crisp, super-efficient option for your SVG fills. Iros has collected a pattern book of monotone pattern fills that you can reference in your work easily. These are tiny files and you can probably afford to include them all, even if you only reference a few. Hero Patterns, a project by UI designer and illustrator Steve Schoger, is a good place to start. Steve currently offers over 90 SVG patterns for free download and allows you to set the opacity, foreground and background colors of your file. Interestingly, the samples here are not just a bunch square tiles either, which makes it a good place to get an understanding of what you can do with SVG patterns. This tool currently offers 30 base patterns, but the colors and opacity can be customized with a few clicks. When you’re done, it exports CSS-ready SVG that can be pasted straight into your stylesheet. This is an interesting experiment in generated patterns. Whatever you type into the text field is used as ‘seed’ to generate a unique pattern. In other words, it’s not random – type the same thing and you’ll get the same pattern each time. To be honest, it’s probably more of a curiosity than a production-ready tool in its current form. Although it works in SVG behind the scenes, it only lets you download PNG copies of your image – which makes it less useful in my view.